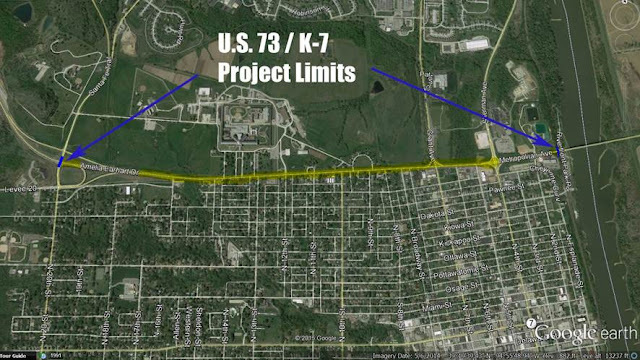 KANSAS CITY, KAN. ---- U.S. 73/K-7 from 12th Street to 16th Street will be reduced to one lane each direction (in Leavenworth), 24/7 round the clock, as Phase Four pavement reconstruction work begins on Monday morning, July 6, weather permitting. 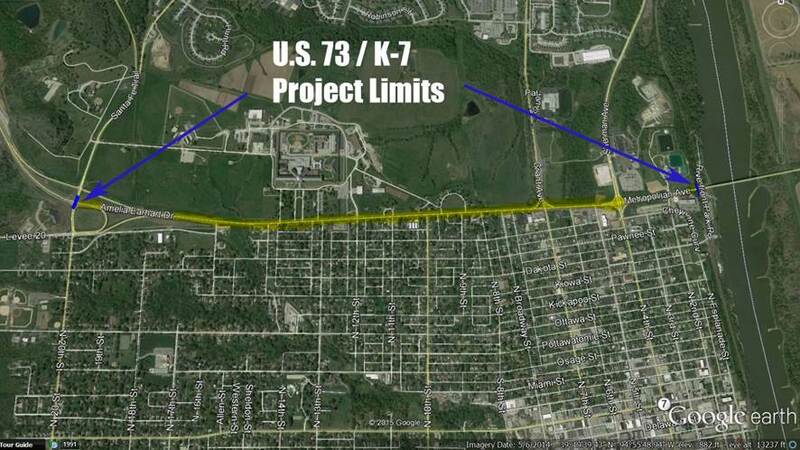 Here’s what this means for drivers: U.S. 73/K-7 will now be reduced to one lane each direction from 10th Street to 16th Street for pavement reconstruction work. Phase Three work (from 10th Street to 12th Street) began on June 10 and is scheduled to be completed in mid- to late July 2015, weather permitting.